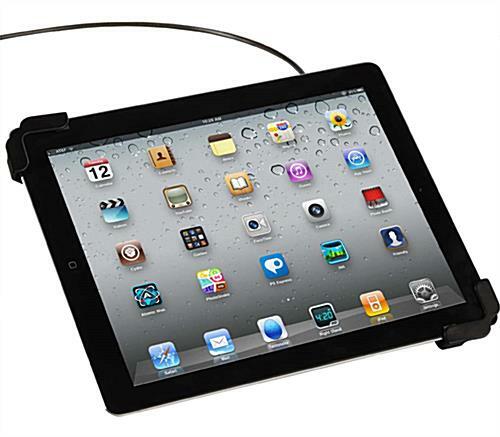 Edge-Grip Style Black "Universal Mount"
This locking iPad case with cable features a "universal mount" design that will accommodate up to 10" tablets from Apple® and other manufacturers. 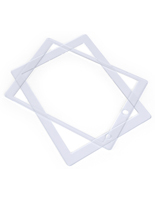 The edge-grip black finish zinc alloy holder fits easily around the corners of the installed device for a secure hold. 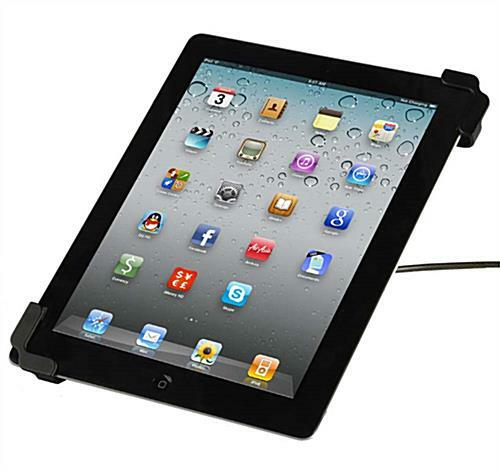 The stylish iPad case with cable offers the additional security of a 6-foot Kensington lock. 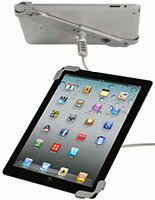 This type of portable universal tablet holder is ideal for devices that will be used in different locations. 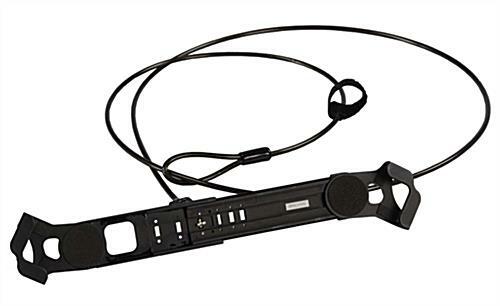 The black edge-grip case with cable lock can be used for commercial, professional or residential purposes with ease. 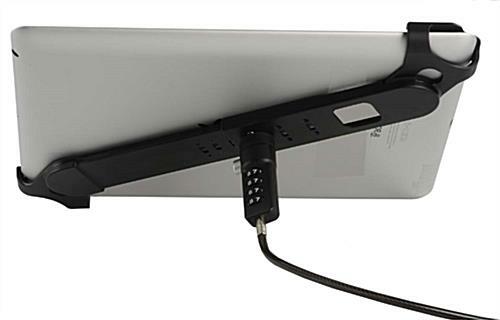 The 6-ft metal cord can be easily attached to a variety of different supports for secure mounting as well as protection from theft.